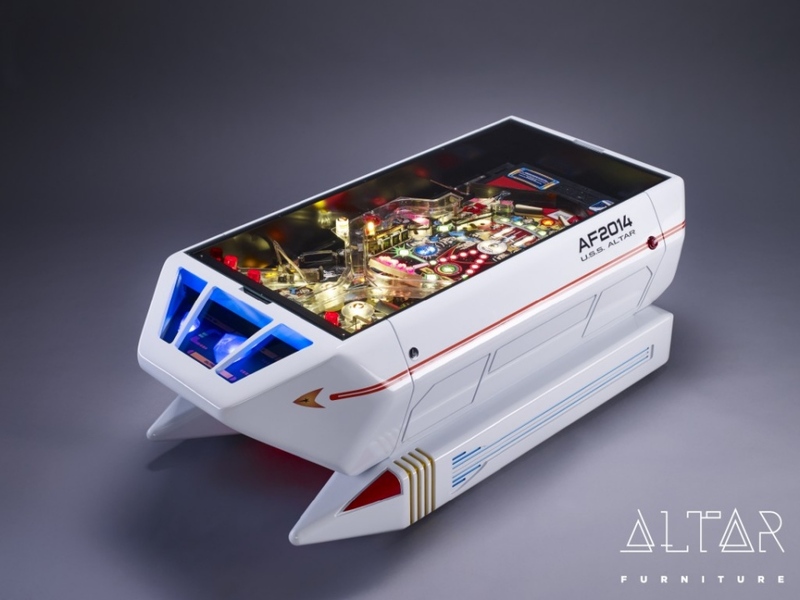 Altar Furniture created this amazing Star Trek Pinball Shuttlecraft Table. It is truly one of a kind. 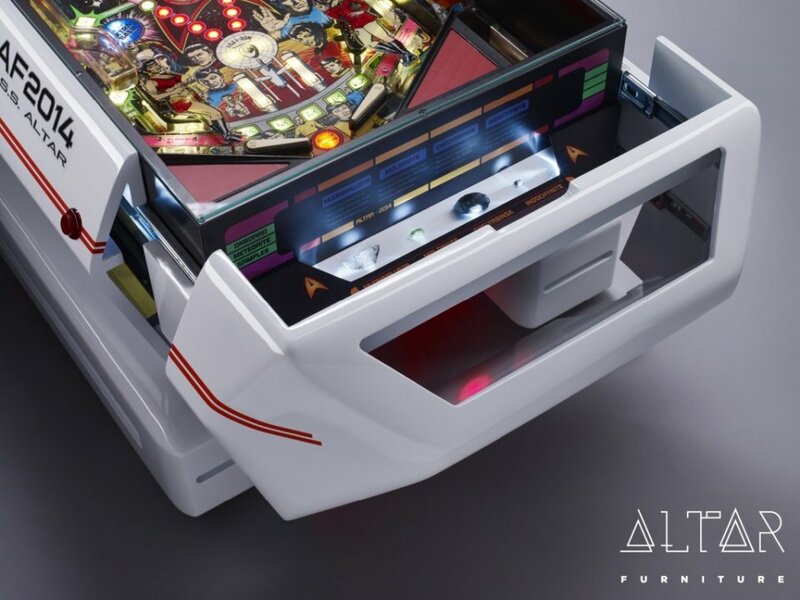 It’s a pinball machine. It’s also a table. It’s perfect if you have a shuttlebay themed room already. What, you don’t have one? What kind of fan are you? Anyway, it has an original Star Trek pinball playing field with new electronic controls, LED lighting and even four real meteorites built into the back container. 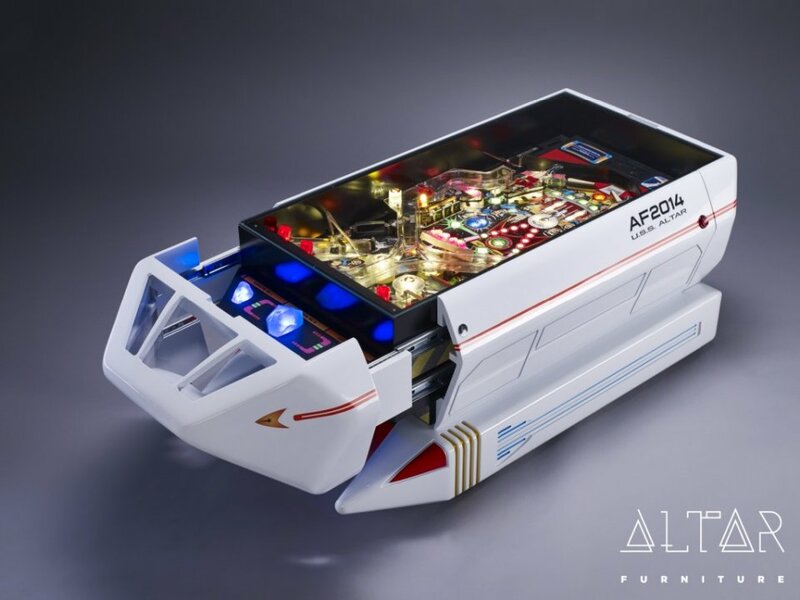 It took 390 hours to create, because you know, no replicator technology and no real life dilithium crystals. I would love to own it, but I strictly use transporters. Shuttles are so last gen.